Light Up Flashing LED Furry Pink Leg Warmers. 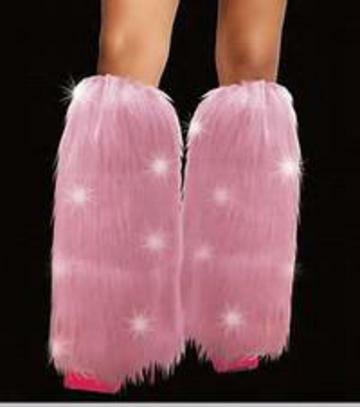 Pink light up LED fur leg warmers are a great addition to any outfit. Wear these light up flashing LED pink furry leg warmers to raves, costume parties, Halloween or just about anywhere. These leg warmers feature elastic bands around the top to ensure they stay in place comfortably. One size fits all adult.